From fence repairs to custom-designed decorative fences, Fence Crafters of Kansas City is your trusted local source for fence services. We offer a full line of fence styles and more than two decades of fence contracting experience. Our products and services can’t be beat. 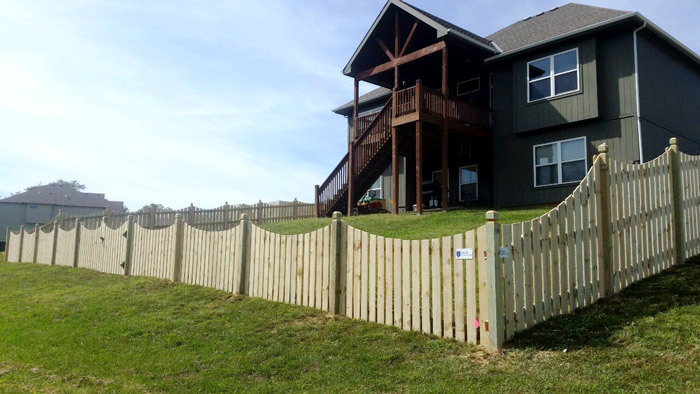 Locally-owned and -operated, Fence Crafters of Kansas City has been providing top-quality fence services in Kansas City, KS since 1996. With over 22 years of first-hand experience in the field, our expertise is industry-leading. Whether you are in need of gate repairs or are in the market for a custom-designed decorative fence, look no further than our highly-trained professionals for your trusted fence contractor in Kansas City, KS. Choose from our wide variety of fence styles including security, decorative, ranch, privacy, wood and chain link. In addition to quality service, each of our fences comes with a free decorative knob top, and all gates come with a three-year warranty. We are a locally-owned and –operated company, established in 1996. We are dual-licensed to operate in both KS and MO. All of our gates come with a standard three-year, no-sag warranty. Each fence comes with a free decorative knob top. We bring over 22 years of hands-on experience to every job. For top-quality fence products and repairs, contact the professionals at Fence Crafters of Kansas City today.